We left Fiji this morning headed for Noumea, New Caledonia. We spent only a day in Lautoka visiting Customs and buying groceries. On our second morning we awoke to find the boat covered in soot from the sugar factory; Lautoka is a center of the sugar industry in Fiji - we saw the trucks delivering cane to the factory, and the freighters shipping it away. After cleaning off the boat we moved to the more pleasant environs of Musket Cove Resort for our final nights in Fiji. Now we have left all that behind and we're out at sea. The 700nm voyage to New Caledonia should take us five days. I have just posted a short podcast recorded during two overnight hops within Fiji. It may be downloaded, or subscribed to, from my podcast page. 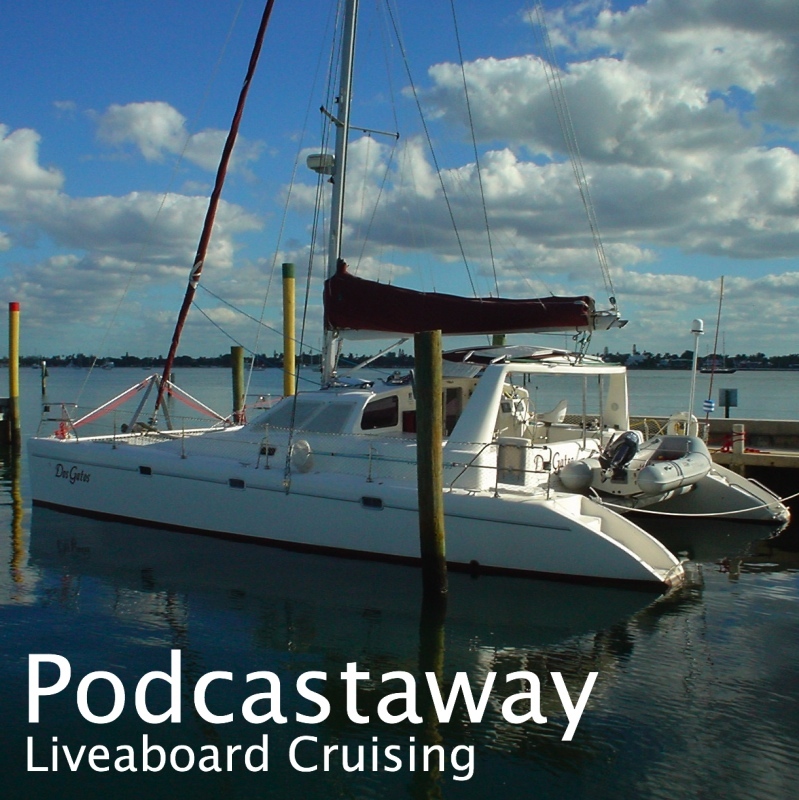 We spent a week at Great Astrolabe Reef. This is in the south of Fiji and was our second dive destination. The reef is an atoll around 15 miles long by 8 wide. The island of Kandavu forms the bottom of the atoll and the reef itself sweeps from the eastern side of Kandavu off north and then back around to the islands western point. We anchored at several uninhabited islands in the lagoon but dived on the reef itself - we were never more than 2 miles away from it. We found places where we could go through or over the reef to dive on or near the outer slope of the reef. The diving was quite good, but did not compare with the soft coral on Rainbow Reef in the Somosomo Strait. Now we've come to Lautoka to refuel, provision and clear out of Fiji. Next stop New Caledonia. 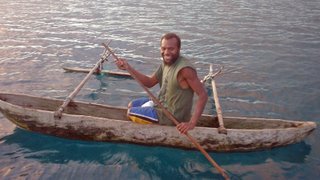 We've now been a week in Viani Bay at the eastern end of Vanua Levu. 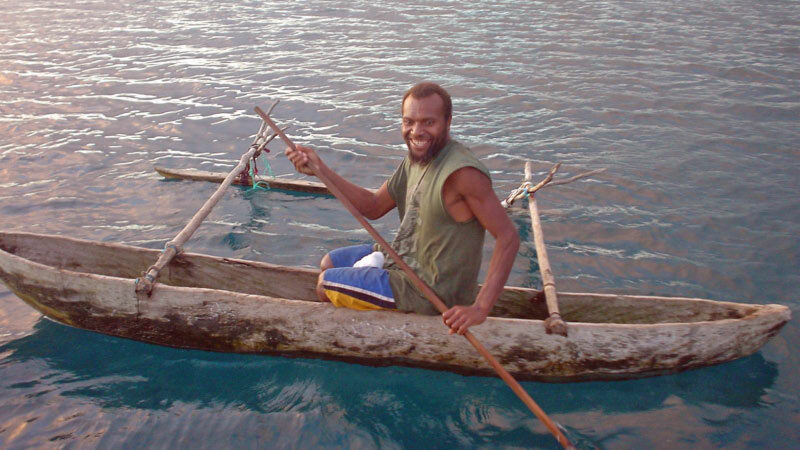 The bay is in the Somosomo Strait directly across from the island of Taveuni. Right outside the bay is Rainbow Reef which is one of the top dive areas in Fiji. One reason Rainbow Reef is so good, and known for its soft coral, is the strong tidal currents that rip through the Somsomo Strait and swirl around the reef. We came here not knowing exactly how we were going to deal with that current -- how we would find suitable dive sites and dive them safely. Our first evening in the bay, we were sitting in the dusk thinking about dinner, when we heard a small boat approaching. It was Jack Fisher, a local guy who lives in the bay. 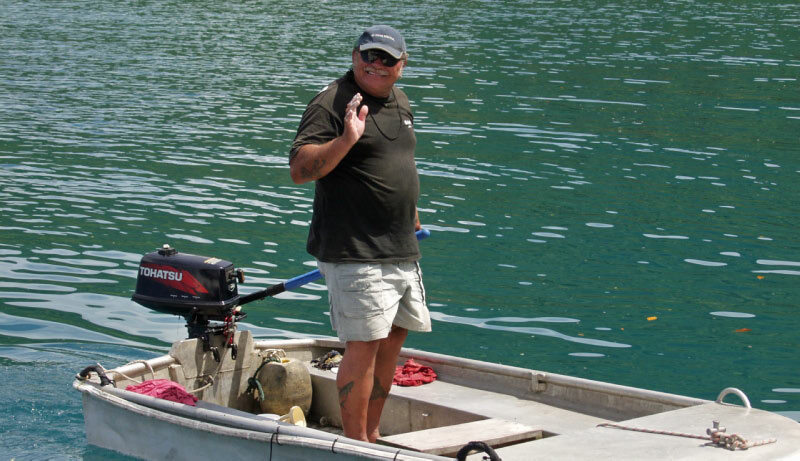 It turned out that Jack is an experienced dive guide who regularly takes yachties out diving. So for the last week, Jack has taken us out every morning (in our dinghy) to go diving. He selects the spot, tells us which way the current will take us, and is there to pick us up when we surface. He's a great guy, very friendly and helpful. The diving has been fabulous - everything we expected. Huge numbers of fish and beautiful soft corals. But time marches on. At the weekend we'll make a quick visit to Rabi (pronounced Rambi) and then go down to Great Astrolabe Reef in the south - another fabled Fijian dive spot.